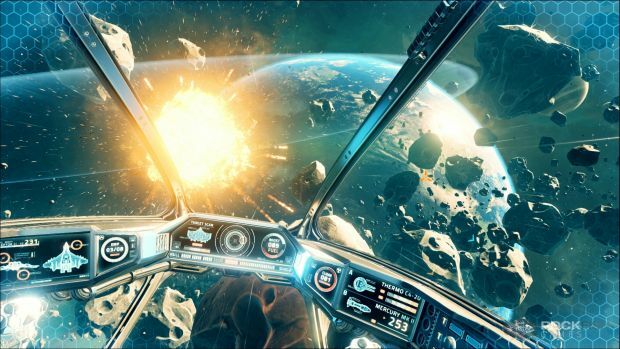 Rougelike Space Shooter, EVERSPACE is about to make it to PS4 after a lengthy exclusivity window for Microsoft platforms, which of course raises the question, which platform is the game better on? According to ROCKFISH Games, the Xbox One X has the muscle that PS4 Pro just doesn’t. Wccftech would reach out to ROCKFISH CEO and co-founder Michael Schade to talk technical specs. According to Schade, EVERSPACE has never looked better on a console than the Xbox One X, which thanks to some porting to newer versions of Unreal Engine, can run at 30FPS at native 4K, or 60FPS at 1080p with improved effects. “There is no denying, for a console, the Xbox One X is a beast” said Schade. Unfortunately, the PS4 Pro “does not provide the same oomph” as its competition, according to Schade. But even in Checkerboarded 4K, the game looks much better than it did before. No PSVR support is coming apparently either, natch.